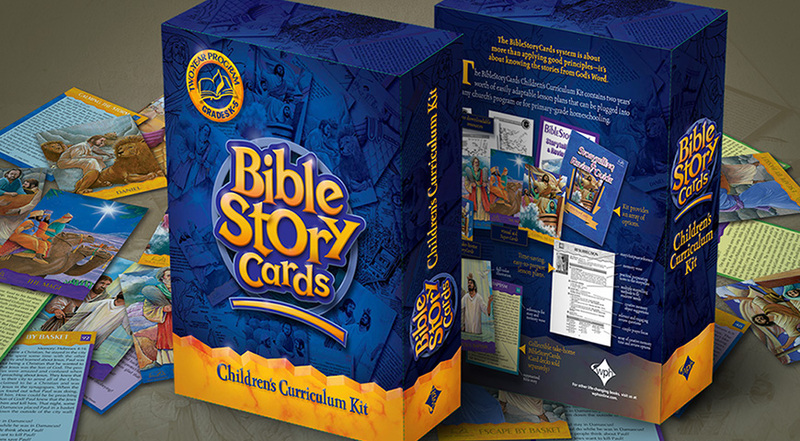 The BibleStoryCards Children’s Curriculum Kit, produced by Wesleyan Publishing House, contains two years’ worth of easily adaptable lesson plans that can be used in any church’s children’s program or for primary-grade homeschooling. It provides an array of options for storytelling, lesson review, Scripture memory, prayer focus, and fun games and activities. Design Corps established core goals and produced final design. Design Corps was asked to help come up with a packaging system design that conveyed not only the character of the product, but also the variety and look & feel of its contents as well. Work included coming up with a list of multiple possible design goals before providing several possible solutions. The final selection achieved the communication priorities for the packaging design and provided a colorful, eye-catching design for promoting sales.